If you’re an eco-conscious nature-lover or just a great big kid, you’ll love Teniqua Treetops. 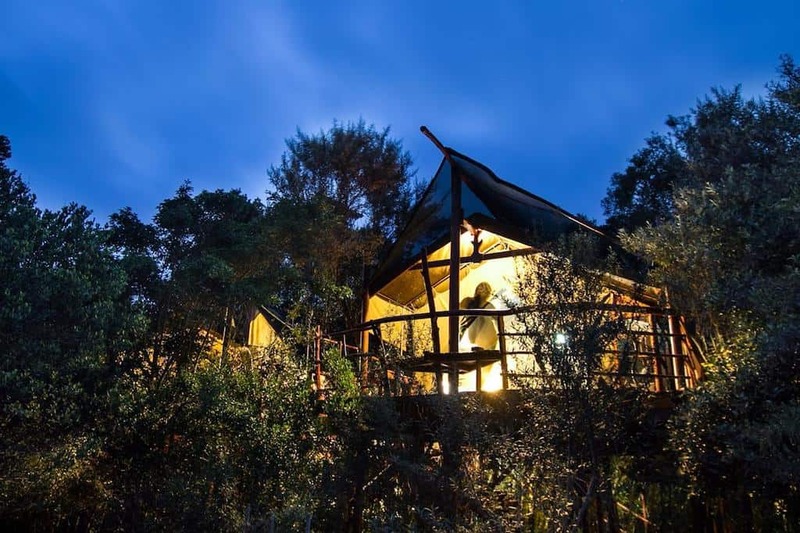 Here, you can sleep in a tented tree house perched high in the forest canopy of the Outeniqua foothills, lush forest along the Garden Route between Knysna and Sedgefield. There are eight beautiful handcrafted eco-friendly treehouses tucked away in the trees which offer either one or two bedrooms, kitchens, living/dining areas, and en-suite bathrooms with dry toilets, plus decks with BBQs and gorgeous scenic views. To up the glamping factor some have sunken tubs, glass-enclosed showers, antique furniture and/or sunrooms. Get a close look at the region’s many exotic birds, or just make romantic memories with your sweetheart! 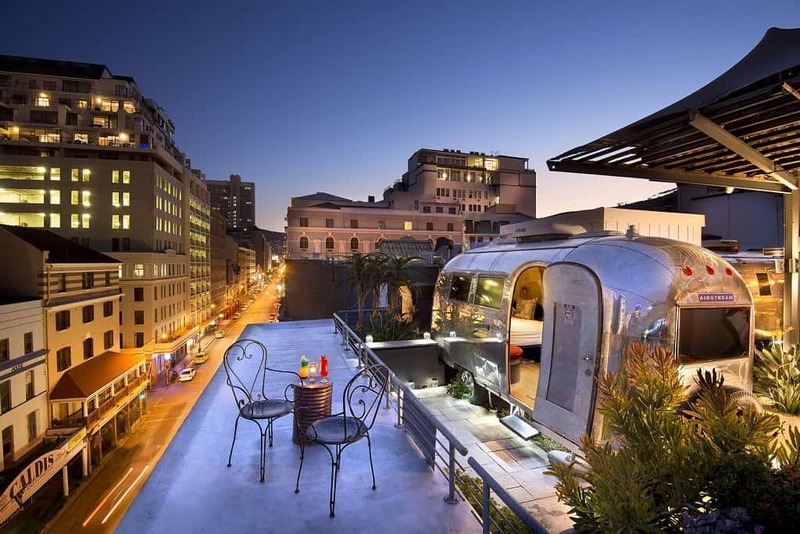 No holiday in Cape Town would be complete without at least one night at the famous Grand Daddy Hotel, with its famous Airstream Rooftop Trailer Park — that’s right, the penthouses in this hotel are seven very cool Airstream trailers. Although this is no ordinary trailer park, each of the seven trailers (and communal spaces) have each been renovated by talented local artists creating unique and playful living spaces. On summer nights, you’ll also find a rooftop concert or cinema going on right outside. The Grand Daddy hotel itself is equally as special and is a trendy refurbished 1895 hotel is on Long Street, the centre of Cape Town’s dining and nightlife. Rooms have marble bathrooms, patios or balconies. Definitely one for the outdoor lovers, the upscale 4-star and exceptionally rated Kagga Kamma Nature Reserve offers unique Cape Town accommodation options located in the pristine wilderness near the famous city (in the Cederberg Mountains). 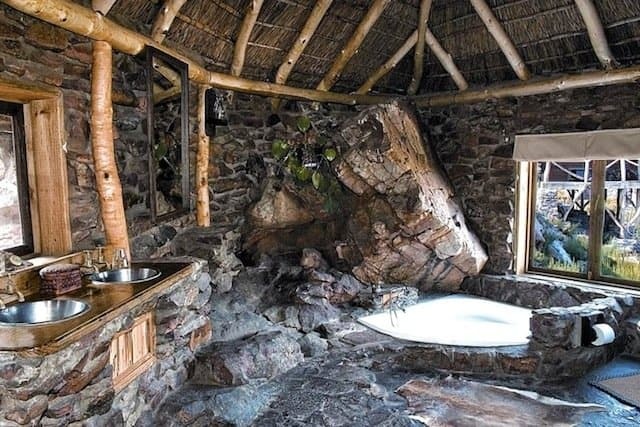 Here you can sleep literally under the stars (but from the comfort of a luxury open-air bed) or sleep in a naturally cool cave room previously inhabited by the region’s native Bushmen. See 6,000-year-old cave paintings, take a guided safari, swim in one of the two swimming pools or just spend a day unwinding at the spa. 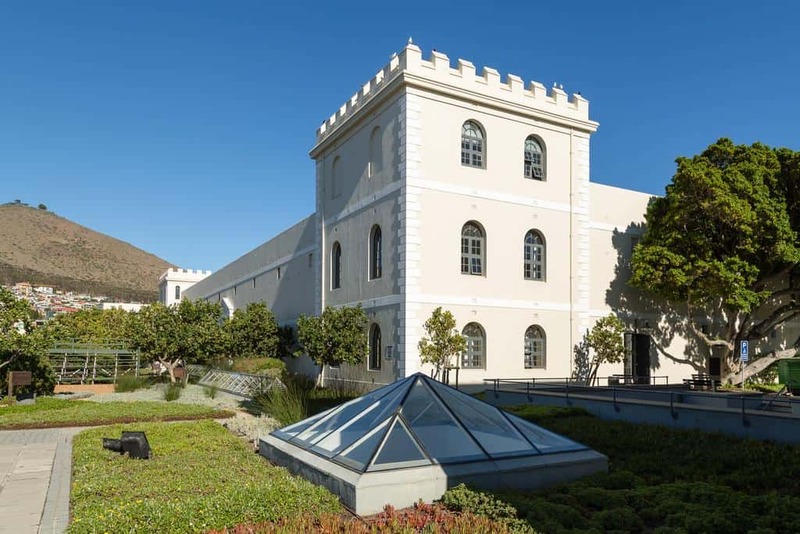 The centrally located and modestly priced Breakwater Lodge puts you in easy reach of everywhere you want to be in downtown Cape Town, but if this 19th-century structure looks imposing, that’s because it started out life as a prison. Although don’t worry about prison-style accommodation this newly renovated hotel offers chic and contemporary interiors. 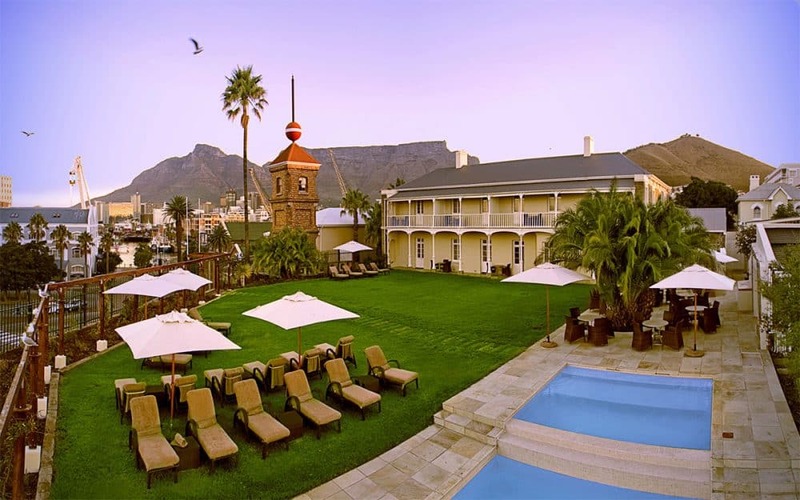 A fabulously unique and unusual Cape Town hotel! The Aquila Private Game Reserve offers luxury and standard chalets and the opportunity for Big Five game safaris. Glimpse elephants, lions, leopards, buffalo and rhino, and return to your rustic yet comfortable accommodations for a dip in a natural rock pool. The safaris are educational, so you’ll learn plenty about the wildlife and ecosystem of the region. 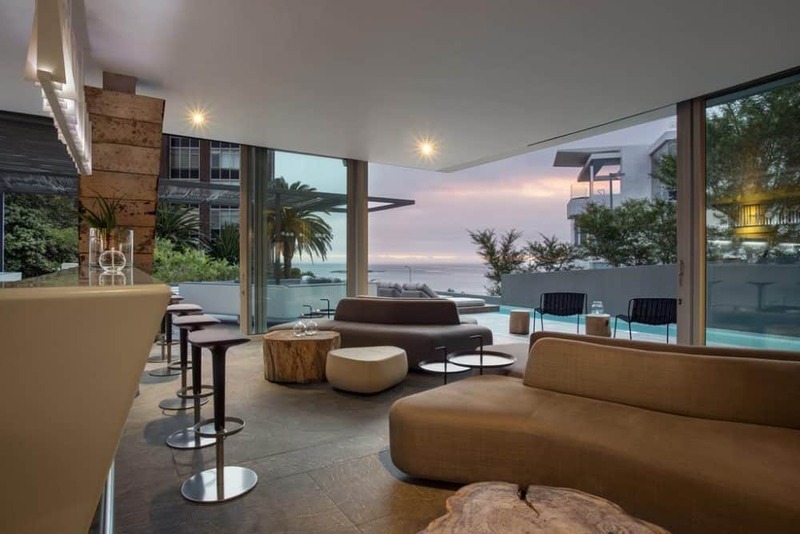 Situated within Camps Bay, the Pod Hotel is perfectly situated for you to enjoy the renowned beaches, cuisine, nightlife and meet the beautiful people of the area. 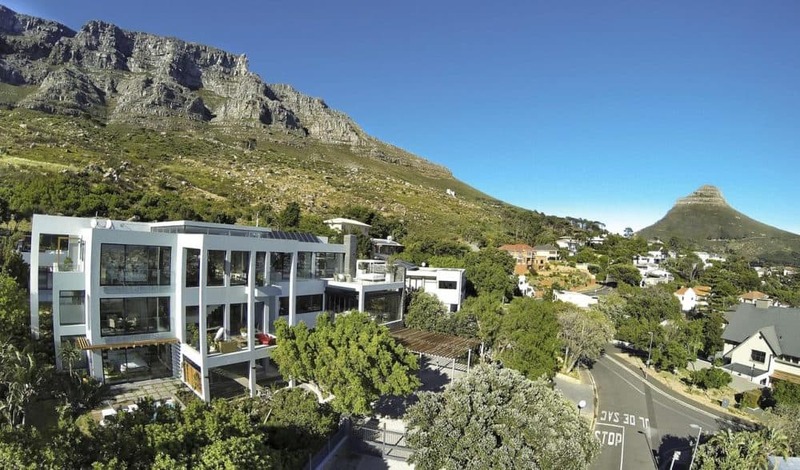 The location is perhaps the best you can get in Cape Town, with it being in driving distance of the vibrant and historical city centre and the bustling V&A Waterfront. Whether you’re staying within the Deluxe Suite, or the Luxury, Classic and Mountain Rooms, each living arrangement provides all the necessary amnesties including air conditioning and underfloor heating, en-suite bathrooms which are sure to match up to what you need. Creative types will love this fun and funky cool hotel in Cape Town, where every room has its own unique art-inspired decor. The comfortable, affordable and spacious rooms seek to marry the privacy of a hotel suite with the personality of a backpacker hostel. 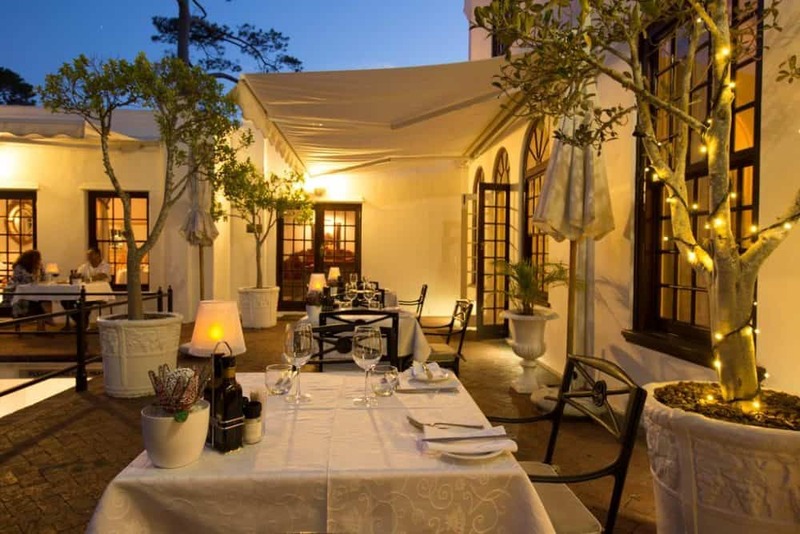 Founded in the early 1930s, the Cape Cadogan Boutique Hotel boasts of its history within Cape Town, with its original structure dating back to the beginning of the 19th Century. Complete with bay windows, stained glasses in doorways and windows along with patterns in the brickwork made from coloured bricks, the Cape Codagan is a true example of a historic Victorian structure. 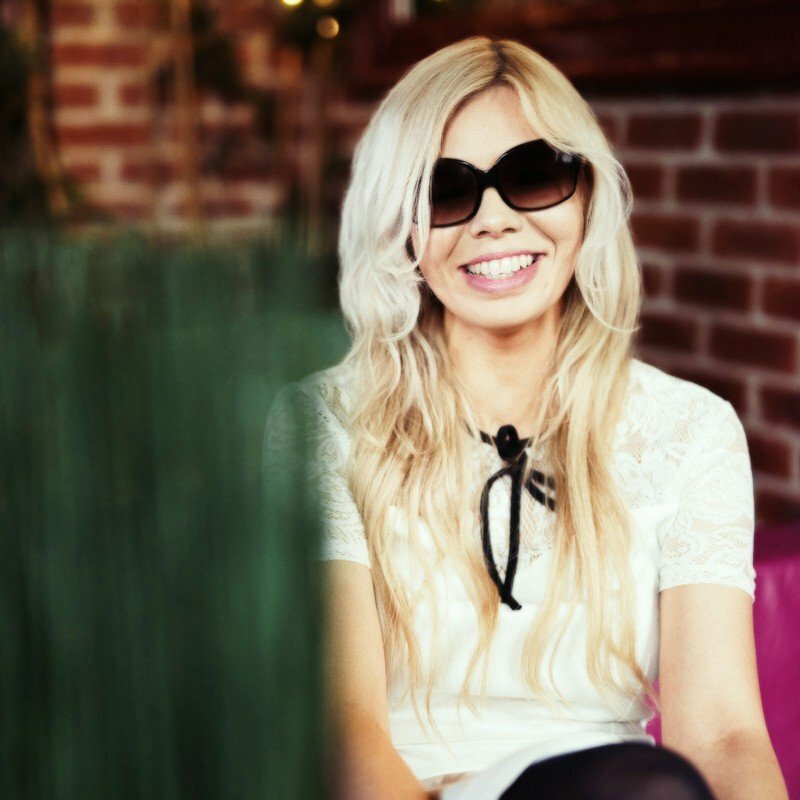 The hotel offers you a unique experience, with no two rooms being alike, thus prompting returns time and time again, in a quest to experience them all. 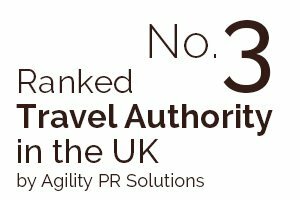 Each room is air-conditioned, with satellite television, minibar, direct-dial telephone, hairdryer and a range of luxury amenities, including WiFi being available throughout the hotel. 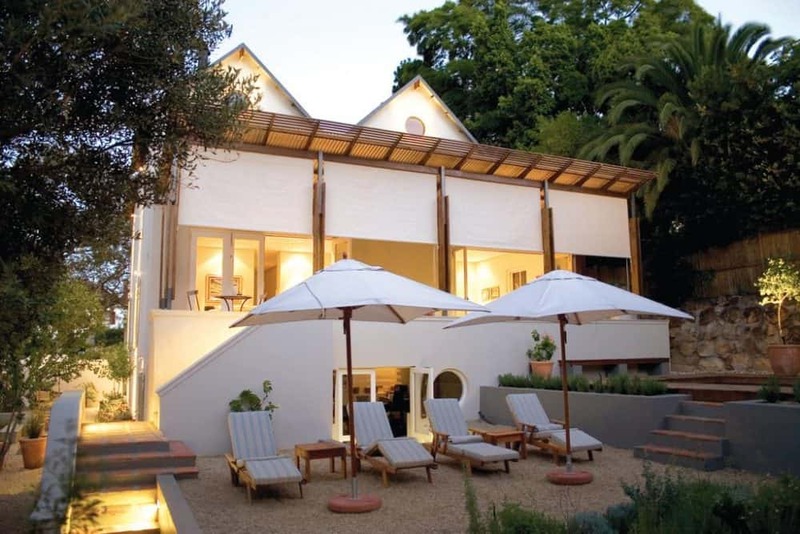 Located in Claremont, one of Cape Town’s beautiful Southern Suburbs, the Andros Boutique Hotel features against the backdrop of Table Mountain, making for a spectacular which you wouldn’t want to miss. Its location further acts as a point of convenience as it is a five-minute drive from the Kirstenbosch gardens and Newlands Rugby and Cricket Stadiums, providing you with ease in travelling to your desired destination. With the plethora of amenities on offer including its health and beauty facility, including a gymnasium & sauna and beauty salon, along with complimentary Wi-Fi access throughout the property, the cool Cape Town hotel surely makes a mark on the hotel scene of Cape Town. Also, let’s not forget they also offer complimentary sherry, port and fine South African brandy selection in the drawing room, to help you unwind after your long day of exploration. The Glen Boutique Hotel and Spa offers an array of services ranging from tours to spa treatments apart from the usual hotel service. From a tour of the Dylan Lewis Sculpture Gardens to a Safari Tour and even on to the Cape Point Tour, each tour is specially customised by the hip Cape Town hotel to provide you with a once in a lifetime experience. Boasting of the finest masseurs in South Africa, the Glen Boutique Hotel and Spa also provides an array of relaxation treatments including the African Touch, the Aromatherapy Massage and such. Originally the Harbour Master’s private residence in the 1800s, the Dock House Boutique Hotel and Spa, speaks volumes through its unique designs and elaborate furnishings. Equipped with chandeliers and ornate ceiling cornices, along with bold artwork, the hotel homes a Victorian charm perfect for your historic getaway. Located alongside the Time Ball Tower, Dock House Boutique Hotel & Spa offers five elegant rooms, which complement the Victorian elegance, with the upstairs rooms overlooking the bustling harbour, whilst the ground floor room opens to a veranda overlooking the garden and the swimming pool area, perfect for those cool summer nights. If you’re looking for absolute privacy, the entire trendy Cape Town hotel can be booked for exclusive use, at a certain additional cost. 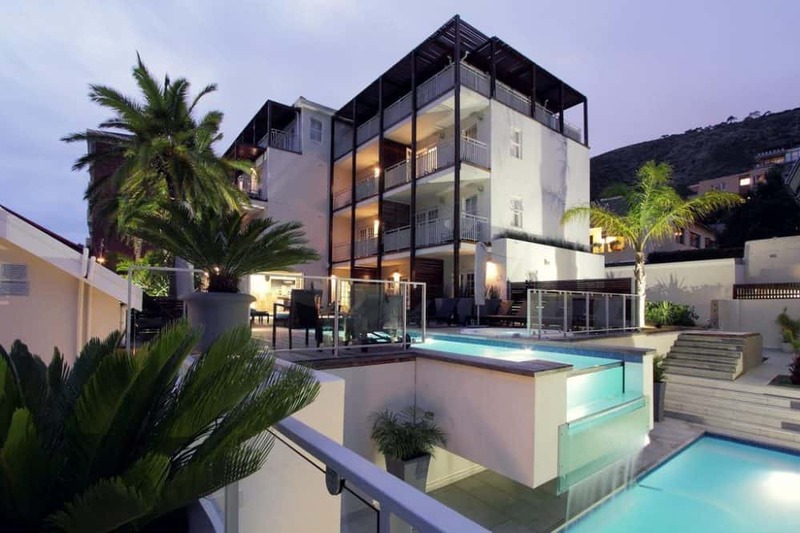 Staying true to its name, the Urban Chic Hotel provides chic decor in the form of African mahogany furniture, original artworks, and Juliet Balconies offering breathtaking views of Table Mountain, Lion’s Head and Signal Hill, for when you wish to relax after a long day of exploring the city of Cape Town. 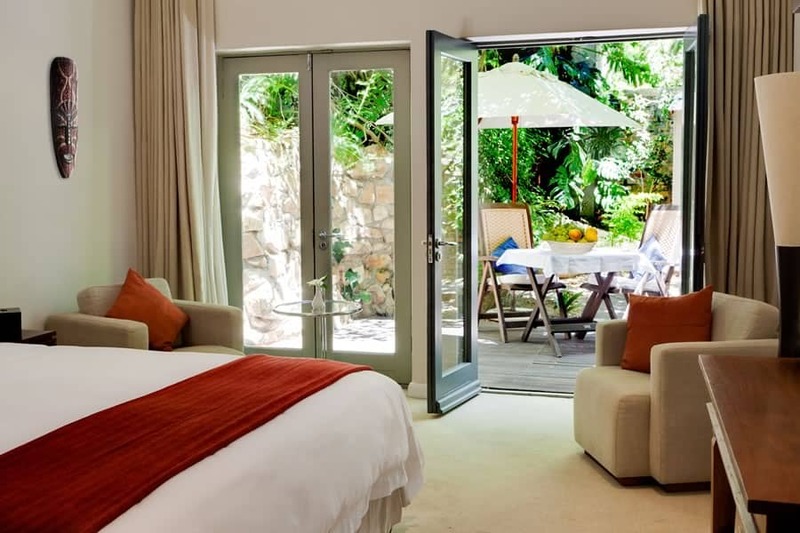 It provides a range of amenities for the guests including free WiFi throughout the sassy Cape Town hotel, room service, private tours, in-room spa treatments and therapy along with many other facilities. Located in the Central Business District of Cape Town, the hotel fits snugly between the vibrant eclectic influences from African murals on building walls to trendy sidewalk cafes, providing you with the best of both worlds. 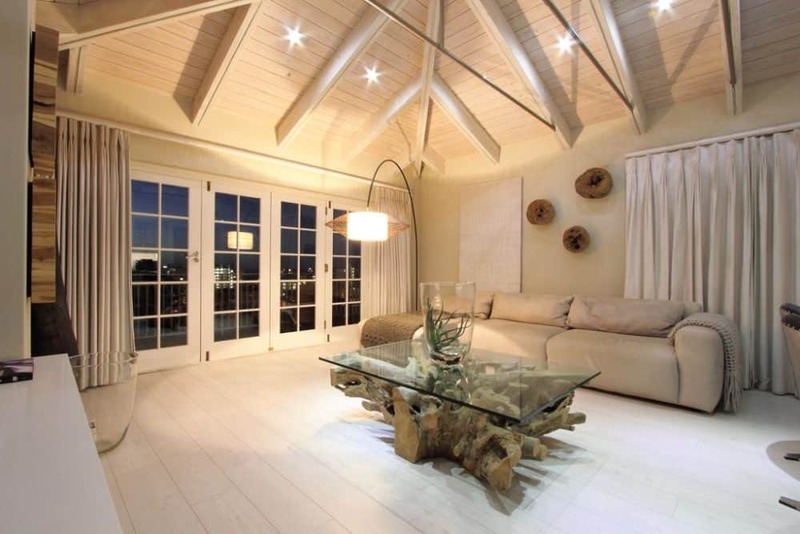 Its location further adds to its preference as it is a short drive away from the beaches of Camps Bay and Clifton, with breathtaking views to be enjoyed on your excursions. 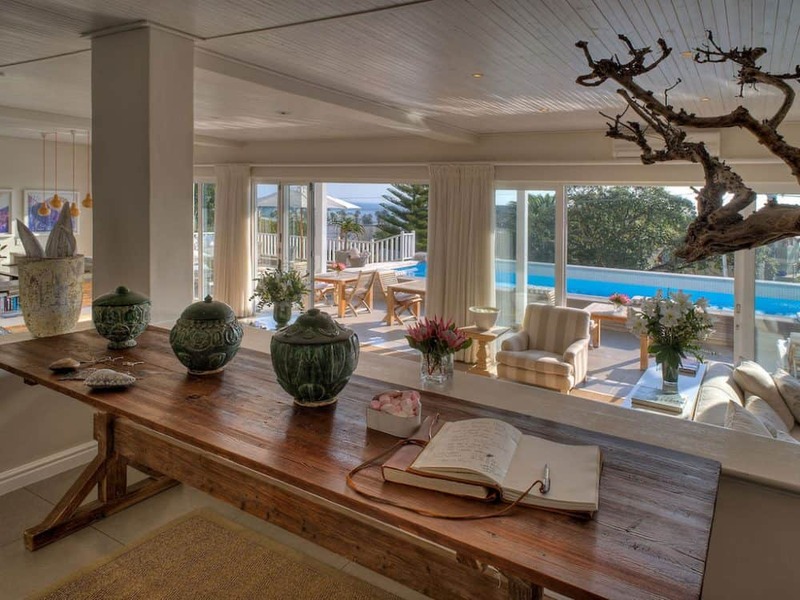 Situated high on the slopes of Table Mountain, with beautiful views over Table Bay and the City, which can be viewed from the terrace, Alta Bay Hotel is in fact a stylish guest house accommodation, with three luxury self-catering units. This Tuscan house is perfect for your getaway holiday, with a contemporary style and locally crafted bespoke furniture, providing a unique contrast for its exterior and interior. With its offerings of a fully equipped kitchen, private terraces and daily housekeeping, the luxury units offer the perfect private spot for your rendezvous, with innumerable amenities on offer. The plunge pool with its sun loungers offers along with suitable garden furniture, allows you the perfect opportunity to lounge out in the sun or those warm summer nights. 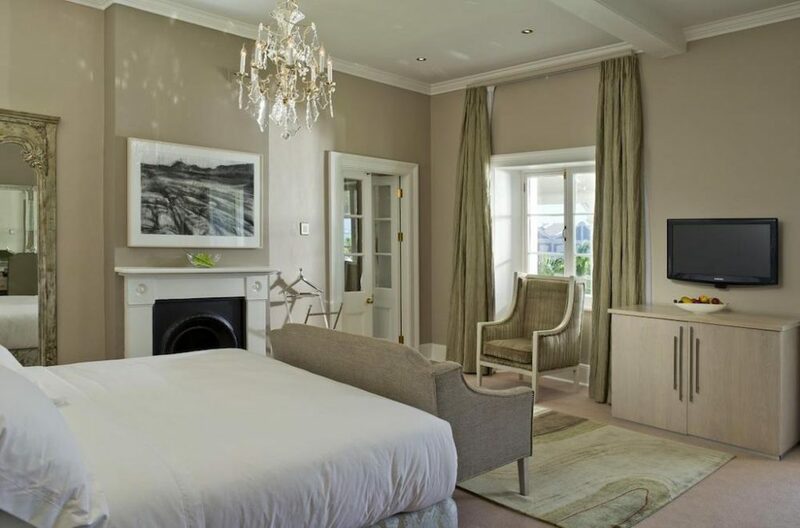 Located on the slopes of Table Mountain, the Four Rosmead is a historical addition to the hotel scene of Cape Town; built in 1903, the hotel has been stylishly remodelled to provide you with a contemporary yet classic building, with a rich history attached with it. 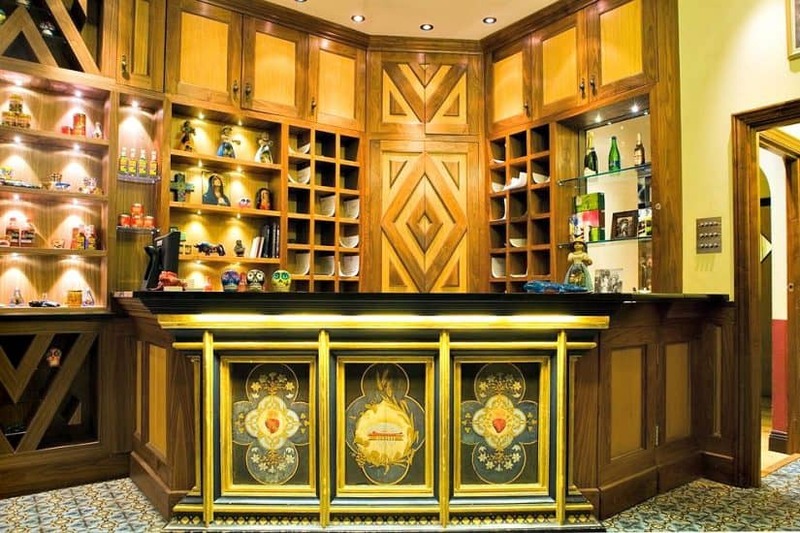 All the artwork within the Four Rosmead are original South African works, which upon you can buy upon departure as a unique memorabilia of your stay. The provision of modern top class rooms with all necessary amenities including extra length king/twin beds, air-con, HD satellite TV and Wi-fi internet connectivity, which further adds to the appeal of the hotel, with features such as fireplaces, private gardens, balconies and courtyard access, providing you with a perfect urban sanctuary. Ideal to celebrate a special occasion, it is perfect for when you seek out a unique experience within Cape Town. 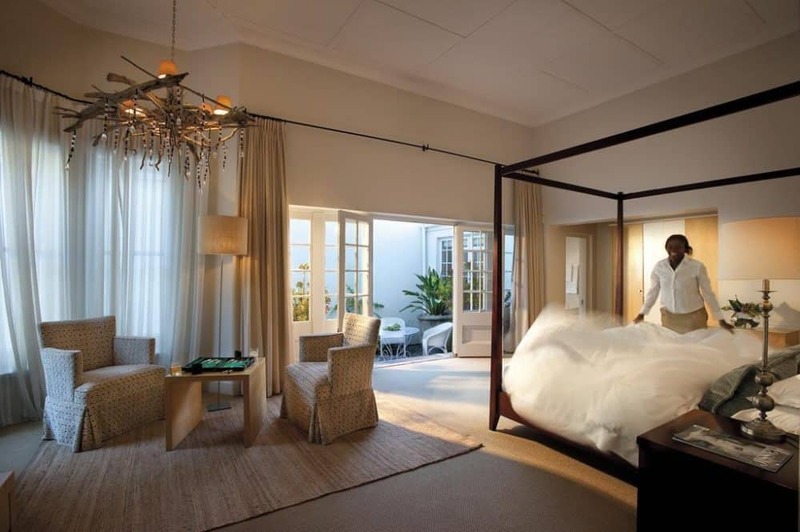 Drawing a comparison between Cape Town’s Atlantic coastline and the European Riviera, the Sea Five Boutique Hotel is home to some of the most pristine rooms available in all of South Africa. Styled by top South African interior designer, Francois Du Plessis, the rooms pay homage to a culmination of the style of Mediterranean villas and the crisp South Africa refinement with white and cream being the predominant pallet of choice. To further make your stay one to remember, the hotel further provides services including in-house spa treatments to Yoga on your private terrace, to make the duration of your stay even more spectacular. If you’re in the mood to just relax, you can savour a moment of utter bliss as you watch one of South Africa’s most scenic sunsets, at the poolside, equipped with its own bar. Bordering Table Mountain, MannaBay is home to unique wonders including housing the gate which leads directly from MannaBay’s grounds to the Table Mountain National Park. Perhaps the most unique feature of MannaBay comes in the form of its rooms, which have been exclusively designed including the Versailles Suite, and the seven luxury rooms each with their own names and styles, allowing for you to the one which suits you. The rooms all include within it all the necessary amenities including air conditioning, under floor heating, WiFi, Africology products and so much more, to make your stay one of ease and convenience. 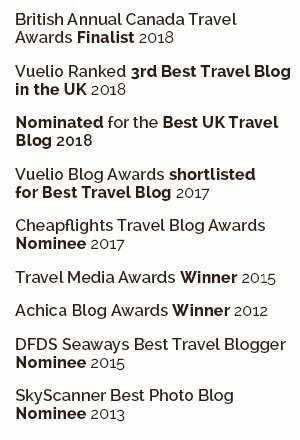 The cool and unusual hotels in Cape Town was written by South Africa fan Adi Herndon, Abi has visited more than 30 countries and written for numerous travel blogs. Some of them are really full of fantasy. I’d like to try the houseboat experience one day! The Teniqua Treetops are something I would most definitely be interested in! Cape Town has been on my list of places to travel. The Kagga Kamma sounds interesting. Any of these will do. But Teniqa treetops looks wonderful . I want to go to the Grand Daddy and the prison…hmm…what does that say about me? Kagga Kama looks awsome..definitely a place to have a peace of mind. 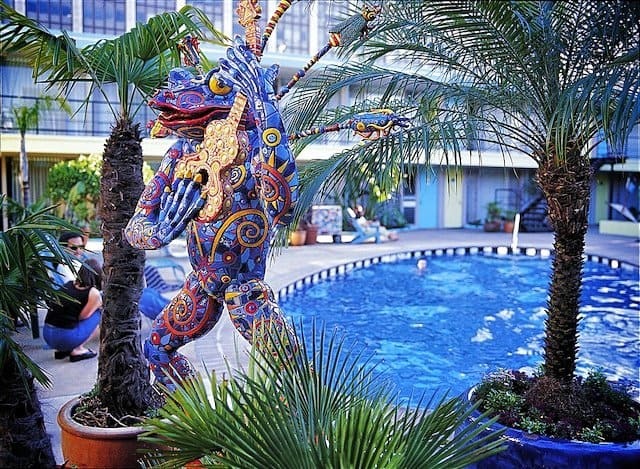 Fantastic even Daddy longlegs Art hotel…so cool. 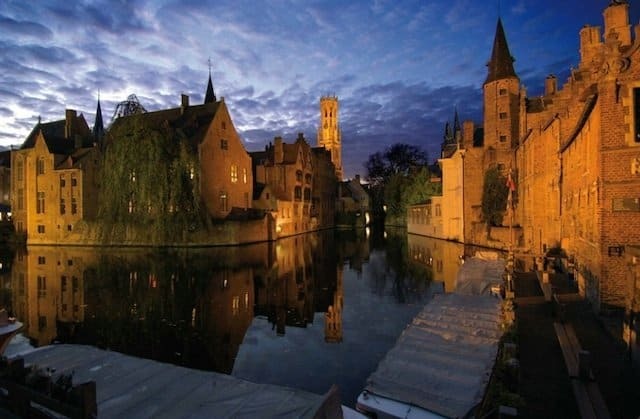 Ooh wouldn’t mind staying in any of these but I think I would try the houseboats first! That sunset looks soo romantic! I love Cape Town and I have to admit I wish I stayed in some of these when I visited. Some of them look like a lot of fun! 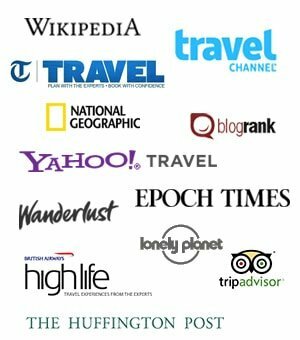 An interesting roundup! I’ve always wanted to stay in a houseboat and the tipi looks fun. And Kagga Kamma reminds me of hotels in Cappadocia.